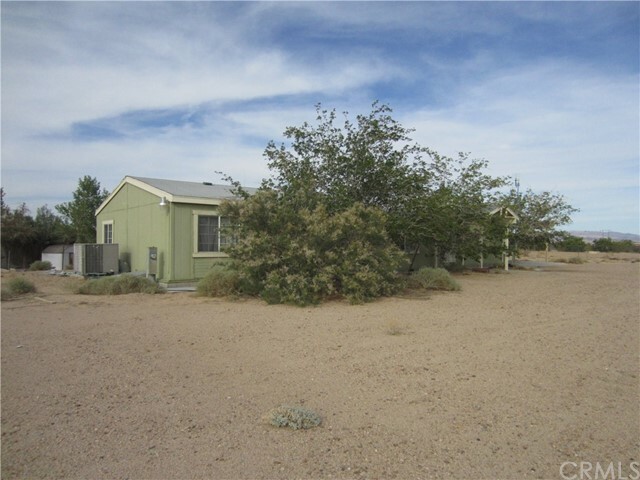 All Newberry Springs homes currently listed for sale in Newberry Springs as of 04/21/2019 are shown below. You can change the search criteria at any time by pressing the 'Change Search' button below. If you have any questions or you would like more information about any Newberry Springs homes for sale or other Newberry Springs real estate, please contact us and one of our knowledgeable Newberry Springs REALTORS® would be pleased to assist you. "AUCTION. Bid 04/24 to 04/26. Currently $1.4M. Selling Without Reserve. Preview Event 04/10 4pm to 7pm. 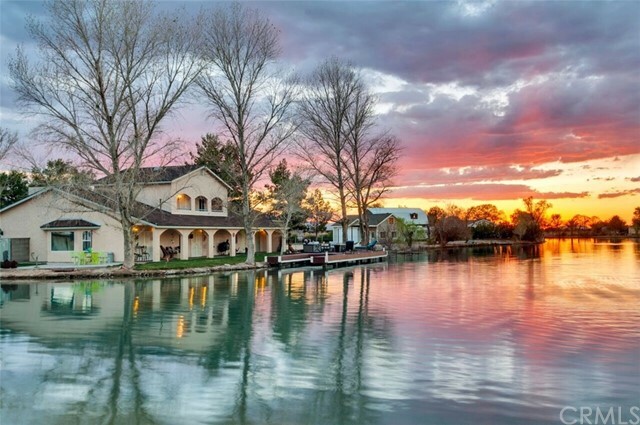 Incredible lake-front ranch, with 400 tree pistachio orchard; located in Paradise Cove, Newberry Springs CA. Near-by Interstates 15 & 40 the site is only a couple hours away from many popular vacation destinations. Three Parcels included in the sale, totaling nearly 7 1/2 acres. Altogether, the site has an amazing custom-built home with 3,166sf, 400sf Cabin generating rental income, Huge Worksh"
"AUCTION. Bid 04/24 to 04/26. Currently $1.9M. Selling Without Reserve.Preview Event 04/10 4pm to 7pm. Come VIEW and MAKE an OFFER TODAY! 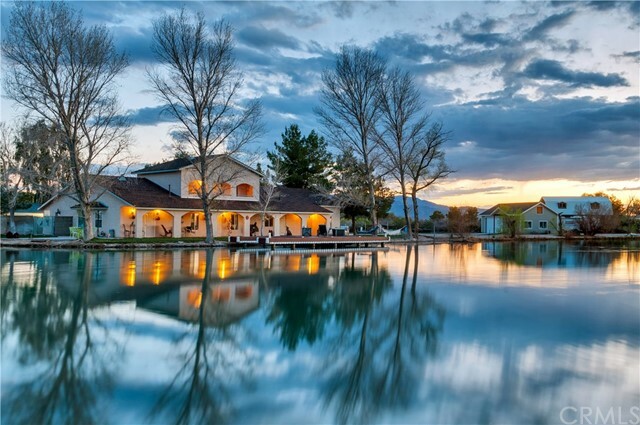 Incredible lake-front ranch, with 400 tree pistachio orchard; located in Paradise Cove, Newberry Springs CA. Near-by Interstates 15 & 40 the site is only a couple hours away from many popular vacation destinations. Three Parcels included in the sale, totaling nearly 7 1/2 acres. Altogether, the site has an amazing custom-built home with 3,166sf, 400sf Cabin gen"
"This is a RARE opportunity! This unique dome home is a registered historical landmark. It has over 9000 sq. ft on 40 acres fenced! 4 domes & 2 towers, plus HUGE attached garage! 4 massive bedrooms, each with their own bath, plus 1 guest bath downstairs. Large living room, separate family room, formal dining room, library and game room. Large kitchen with lots of counter and cabinet space. Laundry room and 3 storage rooms. 4-car garage with 1100 sq. ft. above the garage for work or craft room. Dr"
"This home is has the best of what the desert has to offer, lake front, open desert for the toys, it even has an airstrip. Truly Unique custom that features 3,700 square foot sits on 2 1/2 acres at Crystal Lakes. It has 320 feet of water frontage with a private boat dock. The interior features fresh paint and many updates including a beautiful custom kitchen with both gas and electric cook-tops. There is pantry, a nook and an eating bar. To top it all off a farm sink. The living room has a sunken"
"Income producing pistachio farm on 80 acres with a double wide mobile home, 2 wells and solar panels that are paid for. There is 2600 hundred producing trees with another 600 new trees that will produce in the next few years. Seller has already prepared another 500 spots for more trees that has water lines in place. This farm produces about 24 bins of pistachios on an off year and 40 plus bins on a good year. Flat land with plenty of room for your own pond. There are six ski lakes in the area. 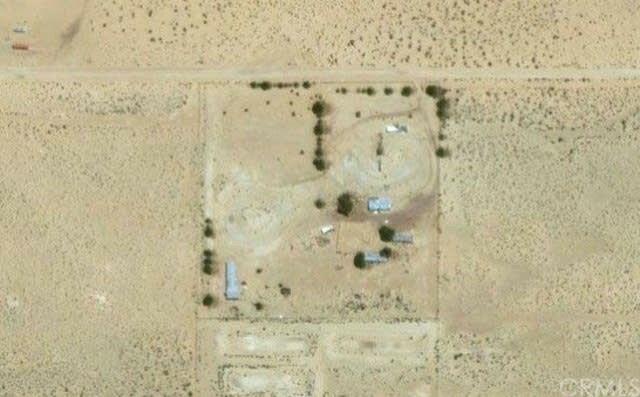 P"
"Very special property for sale in Yermo. Home is a true country charmer, the house features a great room with free standing fireplace like the living room. There are 2 enclosed porches plus an open porch. The property also includes a pond and 2 large buildings which are used as garages and a 20x20 utility workshop. Definitely a must see. Association Amenities: None # of RV Spaces: 0 Special Features: OBNONE Frontage Type: Dirt Road Lot Location Type: Standard Location # of Attached Spaces: 0 # o"
"Paradise in the desert! This is not a joke!! Lake front. This home is located in desirable community with private lake. Break out the boats, water skis, wakeboard and rafts! Your family will love this centrally located paradise. Pack up the dirt toys and drive out of the drive way to acres and acres of riding land. If staying at home is more what you're looking for well enjoy your private pool and jacuzzi. This home is great if you are looking for that perfect vacation lake house or just your ow"
"***Come VIEW and MAKE an OFFER TODAY! This property has so many amenities making it a must see before it's too late. One of a kind located in Newberry Springs CA. Starting with the almost 40 acre lot the property has paved frontage on Silver Valley and Newberry Rd. Perfect for any family just one block from top performing Silver Valley Elementary. Also, just minutes away from I-40 and I-15 allowing for great access to Las Vegas, Laughlin, and other popular river destinations. For military person"
"Take a trip out to Newberry Springs to enjoy the life of having a 1 1/8 acre private lake stocked with bass, bluegill, and catfish. The 1716 square foot home was custom designed specifically for the desert with double insulation, 2 X 6 studs, double pane windows and fire sprinklers and many more extras. The home needs to be seen with its open design, skylights, large kitchen with custom tile and stainless steel Jenn-Air cooktop and Oak cabinets throughout the home and many other upgrades. This h"
"Great vacation or multi family opportunity home.This amazing home is situated on beautiful Lake Wainani. The unique lay out of this home offers two separate living spaces under one roof. Each side has it's own complete kitchen,2 bedrooms and 1 full bathroom. They both have there own heating and cooling units as well as access to the back patio. At the entry to the home is the only shared space containing the laundry connection and a beautiful half bath. There is an attached 2 car garage that is "
"WELCOME TO TWIN LAKES! A LAKEFRONT PROPERTY ON A LARGE 2.2 ACRES LOT. ENJOY SWIMMING, WATER SKIING, BOATING OR DIRT BIKING WITH RV HOOKUPS. PERFECT VACATION OR FULL TIME HOME WITH 180 DEGREE VIEW FROM YOU PRIVATE WOODEN DECK OR JUST CHILL IN THE SPA. Featuring 4 Bedrooms 2 full baths a 1,782 sqft of living space a large master suite with walking closet. Master bath has double sink, large soaking tub, separate shower and large family room plus more. Must See To Believe!! Great Airbnb investment!" "10 ACRES WITH 2 HOMES ON THE LOT, GOOD FOR FARMING & FARM ANIMALS!! Now you can have your own RANCH. This property has 2 homes, live in one rent the other? or good for a large family or make one your office.. It's good to have options. Water Well on the property - No water bill. Front House # is 3 bedroom & 2 bath, ( 1,360 sq ft ) with a 2 car garage & cross fenced. Back House # is a 1 bedroom & 1 bath ( 760 sq ft ) and currently rented. 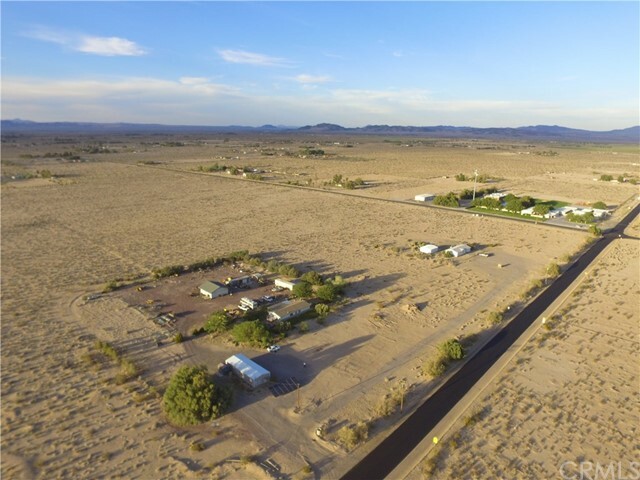 SHOOL is walking distance away & paved road to property - "
"This is an amazing opportunity to have a private lake in Newberry Springs. Super beautiful grounds and views in every direction. 2-3 Acre lake with island and bridge. The photos with water in the lake are old photos. The lake needs fresh clay and to be filled. Private well and water rights. Spacious house. Lots of privacy. There's a 6 stall barn that needs your love and attention. Charming fireplace. Fenced property and lovely entrance gate says it all! 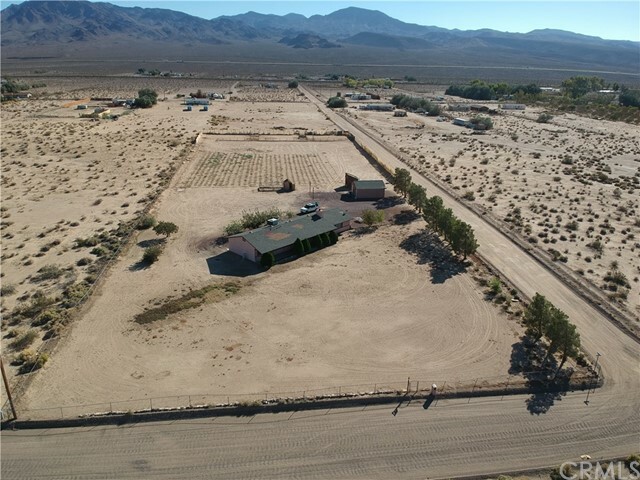 Great for a getaway or a place to call you"
"**PRICE REDUCTION** Beautiful 3 Acre Ranch Home Property located only minutes from Barstow and conveniently located close to Laughlin, Lake Havasu , and Las Vegas. This gorgeous property is fully fenced with a wrought iron sliding gate entry door which is a perfect entryway to store your Boat, off road vehicles, RV, or Big Rig Trucks. This land can be used to raise animals and is setup perfectly for CULTIVATION - Has a well / with pump that produces over 80-100 gallons per minute! WELL WATER IS "
"Beautiful single story manufactured home on permanent foundation with 10 acres of farmland. This home features 3 bedrooms, 2 bathrooms, and much land. The land has water and electricity throughout. This property also comes with 2 additional trailers. 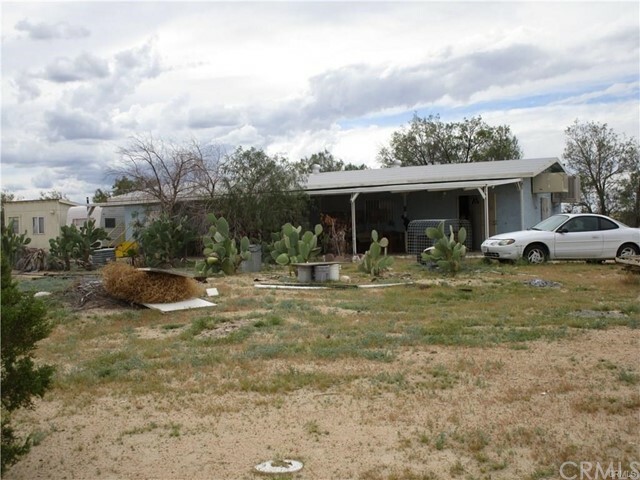 One trailer is 2 bedroom, 1 bath currently rented and the 2nd trailer is 1 bedroom, 1 bath. The home located at the end of the road in a very quiet area. The property has a working well. Enjoy the mountain views and beautiful sunsets. Property is cl"
"Dreaming of owning your own ranch property? Now is the time to own a 20 acre ranch property(which is zone for agriculture and single family home) with well and 40 matured Indian jujube trees also known as Chinese date or Chinese apple. These fruits can be eaten fresh or they can be dried to use in cooking deserts, teas and herbal medicines. Current owner sells these fruits to local stores and herbalists to generate income of between $3000-4000 per season annually. This property consists of a lar"
"Lake Jodie is amazing, Jet skiing, Boating, Water skiing. Your private get away from the city with Double sided mobile home for living, renting, or vacation rental. 3 bedroom & 2 bath with Laundry in side home. Mother in-Law or Studio apartment bonus house is 426 sq, ft with full bath & wet bar. 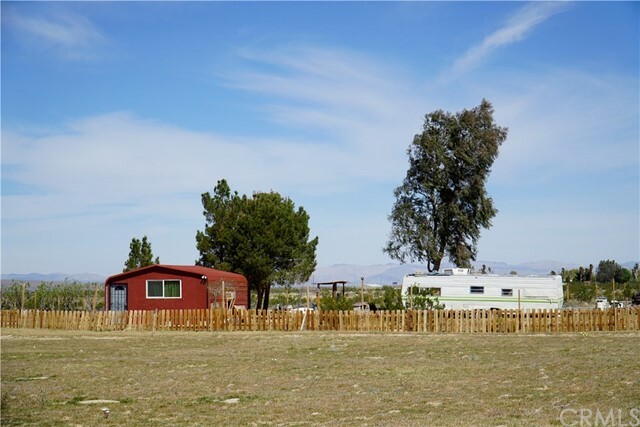 2.21 acres with 165 Pistachios Nut trees, RV parking, Storage, Patios everywhere for entertaining, fire bit, barbecue, out door living to the max. New interior flooring for updated property. Family Park"
"2.36 Acre Getaway vacation or to live in, on exclusive Lake Jodie Association Community! Enjoy Waterskiing, Riding, Swimming, Private Lake, Marina or just Relax as part of the association benefits that you get to enjoy. This desert escape have a lot to offer in this family oasis to relax. Property includes 3 bedrooms 2 bathrooms and a dettached 3 car garage. the almost 2.5 acres of land appear to have dripping system for irrigation and it looks like at one point there was pistachio trees or any "
"In direct path of development. This 17.79 AC property appears to be fenced. There is same trash on the property and everything is being sold as. There is zero disclosure to condition of septic, well or all components. Sale will have to be an all cash buyer. Buyer will have to pay for all inspections. This could be a great deal for the right buye"
"LOOKING FOR A REWARDING PROJECT? Well you found it!!!! 10 acres of land with outbuildings, a second home, a pond, trees, a 3 bedroom 2 bath Manufactured Home, Animal areas, completely fenced and private. Incredible potential for a very little price. All living areas and animal areas need some work to restore them to their original glory. The value is in the Land and the existing structures. Motivated Sellers!!! Association Amenities: None # of RV Spaces: 0 Special Features: GH,SH,OB,NONE Frontag"
"Car enthusiasts and truck drivers take note! This property, centrally located in Newberry Springs between Interstate 15 and 40, provides secured/protected parking for 7+ vehicles-one 3 car garage, one 2 car garage, one 1 car garage, one RV carport, and an oversized warehouse (w/ industrial sized air compressor for pneumatic tools), suitable for RVs, boats, tractors, or even more cars! All but the single car garage have automatic garage doors. The property also offers 3 separate living quarters-a"
"10 Acres. 435,600 square feet. Mobile Home not in subdivision needs extensive work. Value of this property is in the land not the mobile home. Land Use per county is Mobile Home. Owner had plans of making property into a vacation oasis in the desert. Water well and well rights included. Owner may consider carrying."